Matthew Erpelding: Bio & Choral Music | Santa Barbara Music Publishing, Inc.
Matthew Erpelding is the Director of Choral Activities at Hopewell Valley Central High School in Pennington, New Jersey, where he conducts five curricular choirs, supervises student-led vocal ensembles, and acts as vocal director for both the high school and middle school musicals. Prior to coming to Hopewell Valley, Mr. Erpelding was director of Choral Activities at Boylan Central Catholic High School in Rockford, Illinois for eight years. In addition, Mr. Erpelding is a member of the conducting faculty at the Performing Arts Institute at Wyoming Seminary in Wilkes-Barre, PA. Mr. Erpelding is a Doctor of Musical Arts candidate in Choral Conducting and Pedagogy at the University of Iowa. 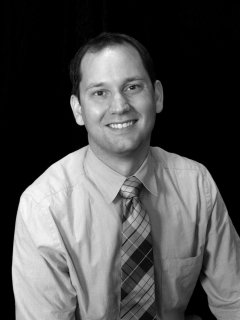 He holds a Bachelor of Arts degree from Luther College in Decorah, Iowa, as well as a Master of Music degree in Choral Conducting from Northern Illinois University. His conducting teachers include Timothy Stalter, Eric Johnson, Tim Peter, and Weston Noble. An award-winning educator, musician and scholar, Mr. Erpelding is an member of both the American Choral Directors Association and MENC: The National Association for Music Educators. Matthew Erpelding has 4 titles published with Santa Barbara.